An all-new anthology of eighteen classic myth retellings featuring an all-star lineup of award-winning and critically acclaimed writers. 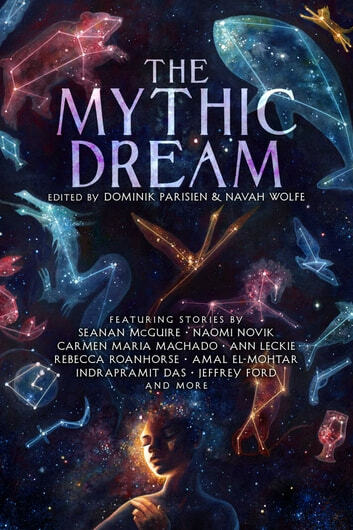 Madeleine L’Engle once said, “When we lose our myths we lose our place in the universe.” The Mythic Dream gathers together eighteen stories that reclaim the myths that shaped our collective past, and use them to explore our present and future. From Hades and Persephone to Kali, from Loki to Inanna, this anthology explores retellings of myths across cultures and civilizations. Featuring award-winning and critically acclaimed writers such as Seanan McGuire, Naomi Novik, Rebecca Roanhorse, JY Yang, Alyssa Wong, Indrapramit Das, Carlos Hernandez, Sarah Gailey, Ann Leckie, John Chu, Urusla Vernon, Carmen Maria Machado, Stephen Graham Jones, Arkady Martine, Amal El-Mohtar, Jeffrey Ford, and more, The Mythic Dream is sure to become a new classic.